Why does God allow suffering? Why am I here? Why do I exist? Over my years as a pastor, I’ve heard some tough questions asked about the Bible and about God. These were hard questions my church congregation had, and these were also difficult questions my congregation heard from people they encountered. 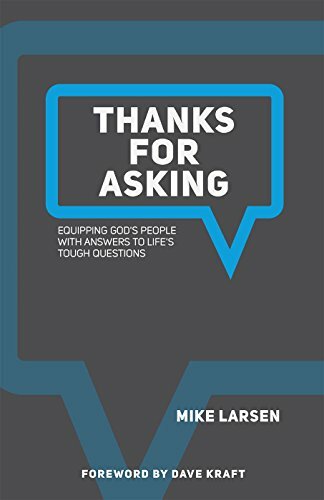 If you have questions, but are struggling to find the right answers, “Thanks for Asking” is the perfect place to start. This practical, approachable resource will help guide you to find solid, biblical answers to your questions.